LAS VEGAS (AP) — In the days and months before he mowed down concertgoers from his high-rise hotel suite, gunman Stephen Paddock booked rooms overlooking two other music festivals in Las Vegas and Chicago, authorities said. They gave no details on what his intentions might have been. The disclosures came as investigators struggled for a fourth day to explain what led the 64-year-old high-stakes gambler to open fire Sunday night on an open-air country music festival from the 32nd floor of the Mandalay Bay hotel casino. He killed 58 people and injured nearly 500 before taking his own life. Authorities have been trying to track Paddock's movements leading up to the deadliest mass shooting in modern U.S. history. In early August, Paddock booked a room at Chicago's 21-story Blackstone Hotel that overlooked the park where the Lollapalooza music festival was being held, a law enforcement official said Thursday. The official was not authorized to discuss the case publicly and spoke on condition of anonymity after being briefed on the investigation. Paddock's booking of the hotel room was first reported by TMZ. 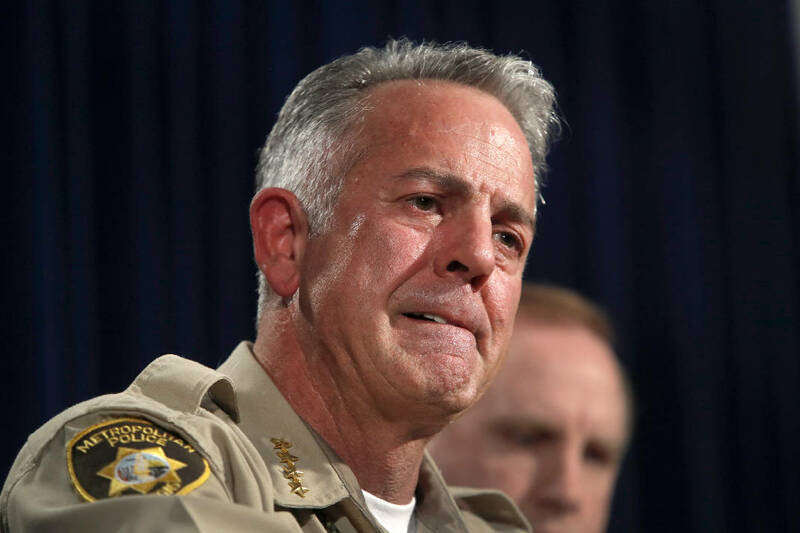 Also, the weekend before the Las Vegas bloodbath, Paddock rented a high-rise condo in a Las Vegas building that overlooked the Life is Beautiful alternative music festival, Sheriff Joseph Lombardo said Tuesday. He offered no other details about what led Paddock there. The music festival featured Chance the Rapper, Muse, Lorde and Blink-182. When Paddock checked into the Mandalay Bay on Sept. 28, he specifically requested an upper-floor room with a view of the Route 91 Harvest music festival, according to a person who has seen hotel records turned over to investigators and spoke on condition of anonymity. The No. 2 official in the FBI said Wednesday he was surprised investigators had not uncovered more.